Does not kink if bent on its own radius. 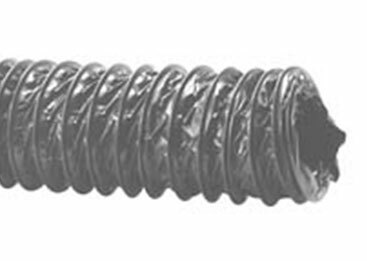 PVC Coating of spring steel wire eliminates possibility of short circuits and prevents rusting. Available in standard "Gray" colour. Other colours available subject to sizable quantity. Electrical flexible conduiting for buildings. Gas or coal fume removal.